Sandy beaches, waves, (some) palm trees and cold water surfing. Welcome to Canada’s surf capital. 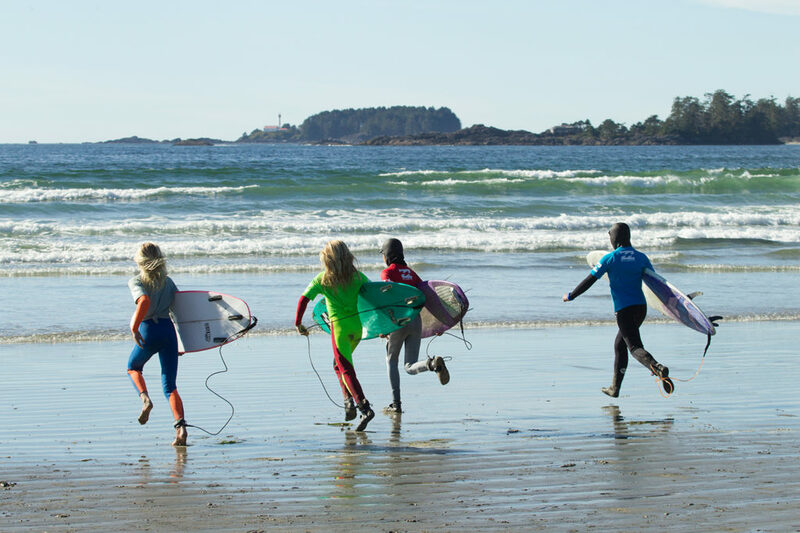 With 35 kilometres of beaches and an exposed coast, surfers of all skill levels have access to year-round surf in Tofino. 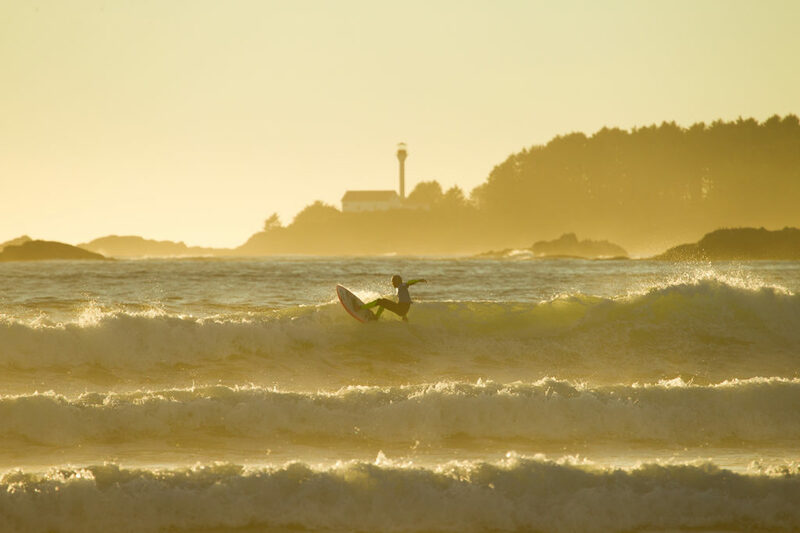 Add in surf and SUP (stand up paddle boarding) surf competitions plus artists inspired by the beauty of it all, and you’ve got Tofino’s surf culture. Come paddle in. The water temperature here generally ranges between 7 and 15 degrees Celsius. Wearing a wetsuit is a necessity in our cold water. You’ll want to add gloves, boots and a hood through the winter. For some, getting into that neoprene wetsuit can be tricky and for others, peeling it off is the challenge. Either way, remember that your zipper goes in the back ✅. Yes, you sure do. Surfing involves a lot of time in deep water, that is, water deep enough that your feet don’t touch the ground. You’ll be paddling out into the surf while lying on your board, and everyone spends a bit of time underwater, whether you bail (let go of your board), get thrown in the water (which happens even to the best surfers) or do a turtle roll, where you hold onto your board and roll underwater to advance further. It’s a powerful current of water moving away from shore, and can sweep even the strongest of swimmers out to sea. Your surf instructor will point them out to you and you’ll want to learn to identify them. Learn more about rip currents with local ocean safety initiative, Coast Smart. How long is a surf or SUP lesson? Surf lessons are generally three hours long. This includes theory, which usually takes place on the beach of choice, and putting that knowledge into action in the water. Group lessons typically maintain a ratio of one instructor to five students. Every surf school also offers private lessons. A SUP lesson and tour usually lasts two hours, and can take place either on MacKenzie Beach or our calm inlet waters. All beaches in our Pacific Rim region are unsupervised, with no lifeguards on duty. To get expert recommendations for the best beach to surf with today’s conditions, consult a Tofino surf shop, check out some beach cams and do your surf check at the beach. 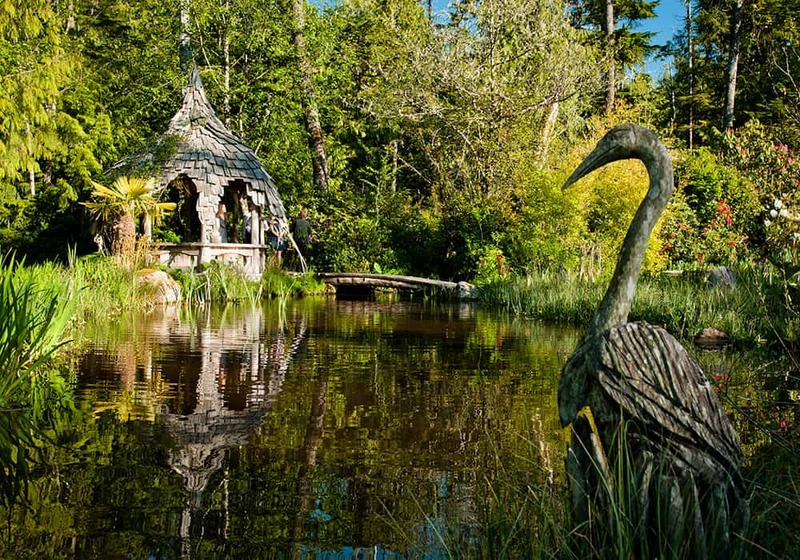 At just a five minute drive from the centre of Tofino, MacKenzie Beach is easily accessible. With tidal rocks providing protection from most wind, the waters here are fairly calm with few, if any, waves. This is where most stand up paddle boarding (SUP) lessons and tours take place. If the swell is high during winter storm watching season, some surf lessons and sessions may relocate to this beach. Find more information on MacKenzie Beach here. It’s described by Outside Magazine as having one of the best beginner breaks in North America and this is where you’ll see most beginner surf lessons take place. The beach is viewed in three different sections: North, South and Middle. North Chesterman Beach faces roughly west. Surf here is best when the swell direction is west or northwest and the wind direction is southeast. Middle Chesterman Beach can be accessed where Lynn Road meets Chesterman Beach Road and curves. A path will lead you to the beach, where you’ll be facing a tombolo (or sandspit) that goes to Frank Island. From this vantage point, you’ll be able to see the conditions on both North and South Chesterman. South Chesterman Beach faces roughly south. Surf here is best when the swell direction is south and the wind direction is northwest. 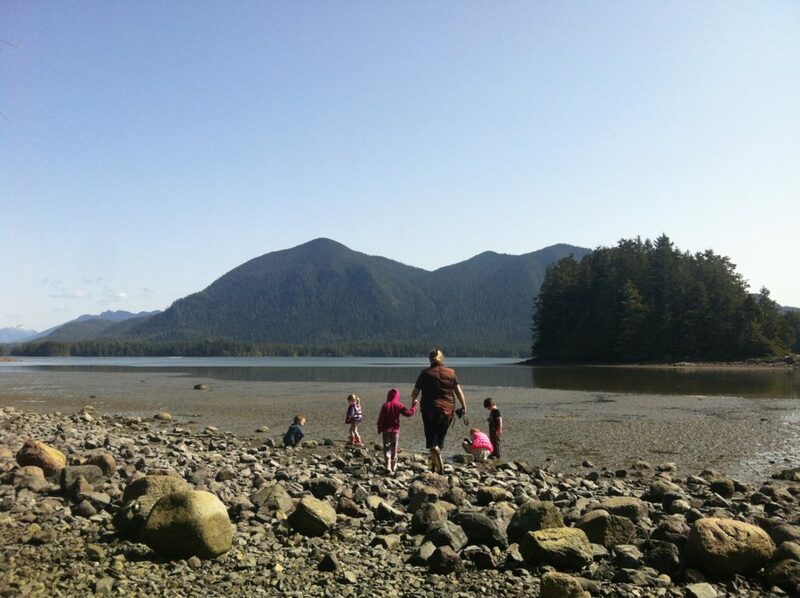 Find more information on Chesterman Beach here. 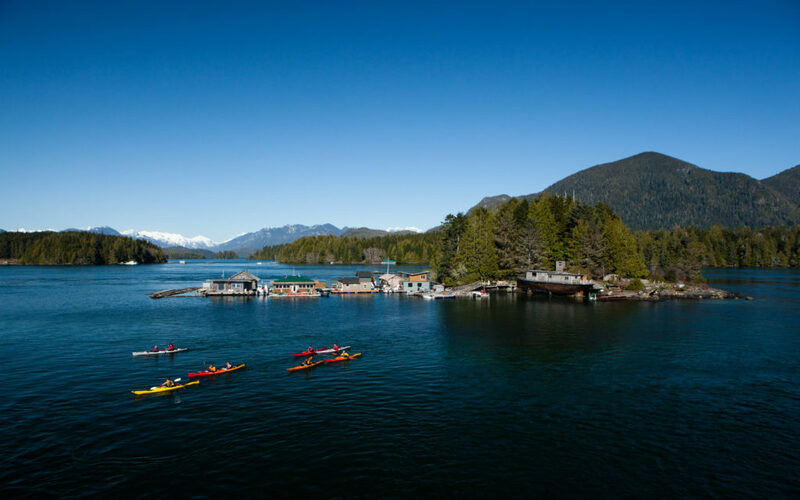 Once you’ve reached this beach from one of its two trails, you will have arrived at Tofino’s main surfing destination. This is where most surf competitions are held and there are beach cams at both Long Beach Lodge Resort and Pacific Sands Beach Resort – if you want to do a surf check anytime, like now! Cox Bay has the most consistent year-round surf, especially in summer when other beaches may be “flat”. Surfing here is best with a small swell of no more than 2.5 or 3 metres. There are strong rip currents at both ends of the beach. Find more information on Cox Bay Beach here. Long Beach is a 25 minute drive south of Tofino. Its 16 kilometres stretch of sand and horizon are situated within Pacific Rim National Park Reserve. This beach faces southwest and is especially good for summer swells. If you’re looking to get up close with beach and van culture, this is where you’re likely to meet surfers of all ages as they change, relax and refuel in their surf vehicle of choice. You’ll be following in the footsteps of many surfers who braved these waters decades ago – long before today’s wetsuits which keep the body warm. Find more information on Long Beach here.